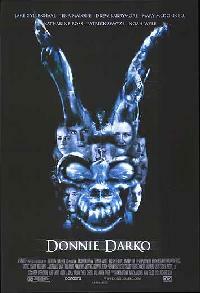 Loner and social outcast, Donnie, is plagued by bad dreams, sleepwalking and the always enjoyable hallucinations of scary demonic rabbits named Frank. At its heart, its a mystery film that never really explains the mystery but doesnt deter from constantly bring out mysterious scenes,clues and all around weird antics. Supposedly it all has to do with quantum physics and time theory which I dont even think the screenwriters fully grasped. It doesnt stop it from being entertaining, if anything to figure out what the hell is going on (and maybe be a little scared and creeped out while doing so). 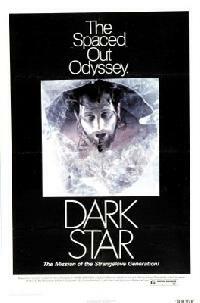 One of the first great (and I mean great) pieces of psychological horror. What is reality? Am I imagining all this? Is it just a dream? Who can I trust? 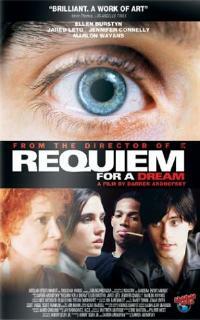 The film is hypnotic and tells the story of a young woman who, after a car accident, tries to rebuild a life in a new town. Shes strangely drawn to an abandoned amusement park, has trance-like dreams and is constantly afraid she is being watched and followed by a ghoulish character only named the Man who, incidentally, is the director of the film. It has transcended its low-budget, b-movie roots with crafty directing and a sharp script and people are now finding it as one of the hallmarks of horror. 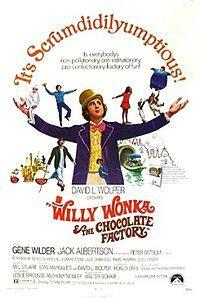 A classic childrens book was retooled for the big screen by the books author, Roald Dahl in 1971. The difference, though, is its a musical. A musical about an odd candy factory owner whos factor employs midgets (likely because theyre cheap and eat less) entices children by making everything made of candy and sings and dances. So...its kinda like Michael Jacksons Neverland. (too soon?) But it is a charming, if not completely weird, bit of psychedelic-like cinema that retools your perception of reality, from the very first scene with Wonka pretending to be crippled to the very last where his Elevator shoots through the skylight and hovers over the city. Its eccentricity at its height, but as Wonka put it A little nonsense now and then is relished by the wisest man. Ill say right now there are two filmmakers that appear a lot on this list: David Cronenberg and David Lynch. If youve seen their movies, that should be no surprise. If you havent, you at least know their names. Blue Velvet, which Lynch was nominated for an Oscar I might add, may not be as surrealist and dream-like as his other films, but that doesnt mean its not without its sense of discomfort and odd characters. Blue Velvet tells the story of Jeffrey and his slow fall into the strange underworld of rather perverse and sexual people that Jeffrey soon finds himself drawn to. 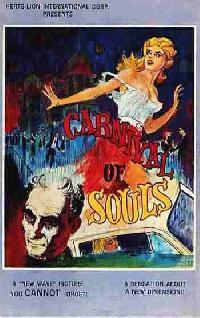 This is John Carpenters very first film. Wow...does it show. You can see flashes of future brilliance in there, between the scruffy beards and 70s haircuts but Its still a low-budget b-movie nonetheless. What I find interesting is that the DVD cover says The Ultimate Cosmic Comedy. Yeah...its not funny. Its satirical at times, but not particularity funny. Its just weird, and maybe that alone is what makes it so funny. Its about a lone, small ship in space that goes around blowing up planets until things start to go wrong. Especially when one member is asked to feed the alien they keep locked away in a room. Simple, effective, really strange. Hunter S. Thompsons odd and mindbending time in Las Vegas comes to full life in Terry Gilliams adaptation of the classic, Gonzo-Journalist novel. The book is a little bit of non-fiction, a little bit of fiction and a hell of a lot of rambling monologues, thoughts and imaginative descriptions on the experiences of taking drugs. There really could be no better director to bring it to life and no better actor than Johnny Depp to portray the title character. Thompson was already a real-life caricature of himself, Depp played it to perfection. We see Thompson do a suitcase of drugs, along with his lawyer who is a foreigner...probably Samoan, and then gallivant through Las Vegas like a clown at a circus. Hes supposed to be there writing a sports article but instead exploits the over-the-top drug culture he was a part of and used his Vegas job as just an excuse to do every drug known to man. We get to share that experience. If anything, it should be a movie to keep kids off drugs. You dont want to end up like Hunter S. Thompson, do you? 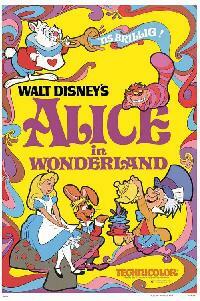 Disneys animated classic, which is combination (or reimagining, if you will) of the books Alices Adventures in Wonderland and Through the Looking Glass by Lewis Carroll, had quite a daunting task on envisioning Carrolls extraordinary classic tale. For some reason, rather than stay with a rather traditional presentation seen in Snow White or Cinderella, the animators took it to a new level by having the visuals as odd and striking as the story itself. Every little thing, down to the flowers and insects, are intentionally made to appear and act just a little off from reality (or sing, they like to sing) as Alice tries her best to find her way out of Wonderland...and each time she hopes the next leap will be the leap home. 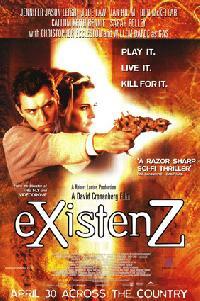 Existenz, excuse me eXistenZ (its spelled like that for a reason) is about videogames. Its about bio-mechanical, videogames, actually. What does that mean, you ask? Well...the game controller things are fleshy, pulsate and you plug them into your body. The designer of these litle meat pods is under threat, assassins hunting her down, and then Jude Law shows up and the two of them have to play the game, which is strangely sexual and strangely addictive, to figure out if its been damaged. The game is like a virtual reality and, after some time, reality and fantasy begin to blend and they start to become sucked into its world (or is it their world?). Another drug-based film that, like Fear and Loathing in Las Vegas previously on this list, shows us the experience and depths users will sink to. Unlike Fear and Loathing, though, its not quite as, shall we say, happy with it all. 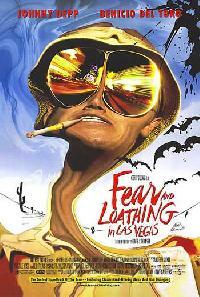 Fear and Loathing is a fun trip, this is a bad one and it doesnt shy away from telling you and showing you just how fucked up drugs can make your life. Its more a series or collection of drug users destroying their lives and their futures with it, or lack of future I should say. Audition is a story of obsession and infatuation about a man who is looking for a woman he can start a new relationship with by sitting in on actress auditions. One catches his fancy. The movies message says that what we might think we know about someone, going by merely appearances and brief encounters, isnt always the real person. Often, its all an act. Takashi Miike is known for films that will shock you, and the complete 180 of visual presumption to truthful reality is never shown better than the cute and quiet Japanese girl with a very, very, very dark side. Watch at your own risk, it seems to love to play with your mind as much as she loves playing with acupuncture needles.